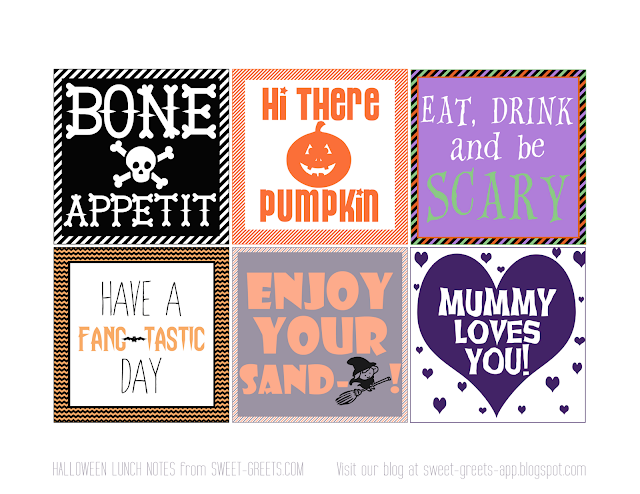 Here's a free set of silly printable Halloween lunch notes to send to school in your little one's lunch box. Hopefully they will bring a smile to your child's face, and help get them in the mood for Halloween. Just click on the picture above to download. Happy Halloween! For more Halloween freebies - including treat bag toppers, wall prints, digital papers and more - just follow this link.